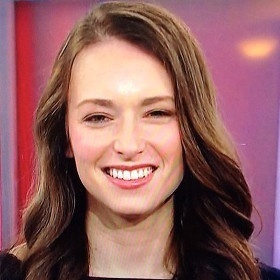 Julia Ioffe is a journalist that focuses specifically on Russia and Russian topics. She is currently a staff writer at The Atlantic, and has also written for Columbia Journalism Review, RUSSIA!, New Yorker, New Republic, Slate, Politico, National Geographic, Fortune, Foreign Policy, Newsweek, Washington Post, The Daily Beast, Bloomberg Business Week, Forbes, New York Times, Huffington Post, Financial Times, and GQ. After graduating college, she was awarded a Fulbright Scholarship, working in Moscow, and also a writer for the Knight Foundation Case Studies Initiative. 2-20-17 – Julia Ioffe is an exceptional writer that represents, to me, a new age of journalism. There is nothing that stands out, from an article-to-article basis, as being incorrect or inconsequential. From a wider lens, however, I do have reservations. 90% of her articles cover Russia, and all of these articles paint Putin in a bad light (And of course, you have this dissenting opinion, of which the claim is that she is a Kremlin-stooge). A Fulbright Scholar is sponsored by the state. As her career has grown and evolved, the varying publications that publish her have expanded, and I think that is quite uncommon, given that most pieces are not longform. To this point however, not many people fill the niche of the role of Russian expert, which she clearly is. The niche role is interesting to me – there is nothing in the mainstream longform, maybe sans Economist, which, unfortunately, I do not get, that covers India, Japan, Brazil, or Nigeria, like the UK, China, Russia, Middle East, and perhaps France and Germany. They seem to have equal importance in terms of global affairs, however, the U.S.-based media generally ignores, again, at least in longform circles (from my decidedly narrow perspective). Back to Ioffe – she presents me with the ultimate problem. I respect her work very much, but I knee-jerkingly worry about her connections to government, in particular, the “liberal” side of politics and the media. As stated in the Journalist’s Creed, “The suppression of the news, for any consideration other than the welfare of society, is indefensible,”and I feel she may be guilty of this. Even tougher to prove or discern is the inattention to the creed in which “advertising, news service and editorial columns serve the best interests of its readers,” and I believe that creating the environment in which reigniting a Cold War is acceptable or desirable is not in the readers best interests. The following are links to Ioffe’s published articles and content, in order from earliest to latest.